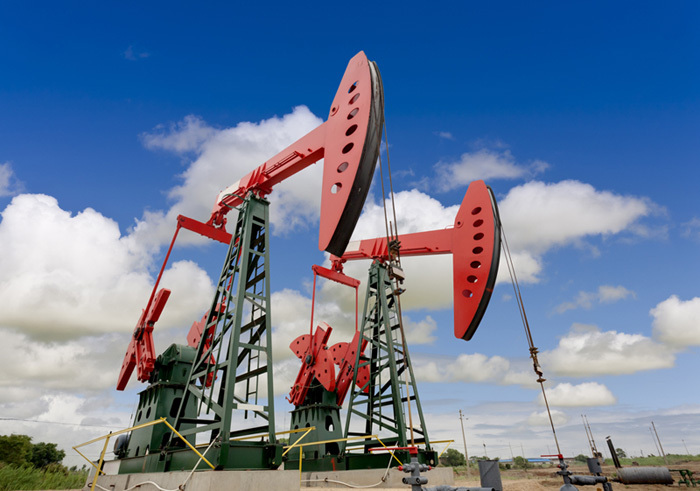 Get a weekly list of the new oil & gas and mineral leases filed in Smith County Texas. 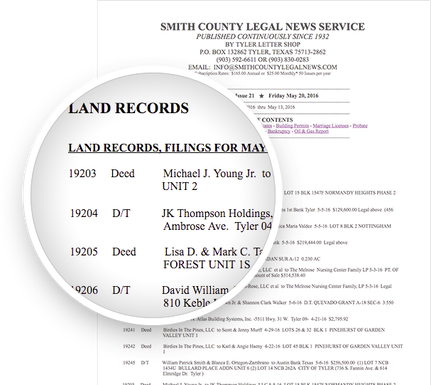 Perfect for mineral owners, royalty owners, oil & gas attorneys, oil and gas operating companies, members of AAPL, professional landmen, or anyone interested in up-to-date lease filings in or around Tyler, TX. Here's what's included: Weekly filings of oil, gas and mineral leases, memorandum of leases, royalty deeds, ratifications of O&G leases, lessor, lessee, acreage in lease, survey and abstract, term of lease, effective date, ​royalty amount paid to lessor, applications for well drilling permits, operator, county, lease name, well number, total depth, name and size of field and survey lines.